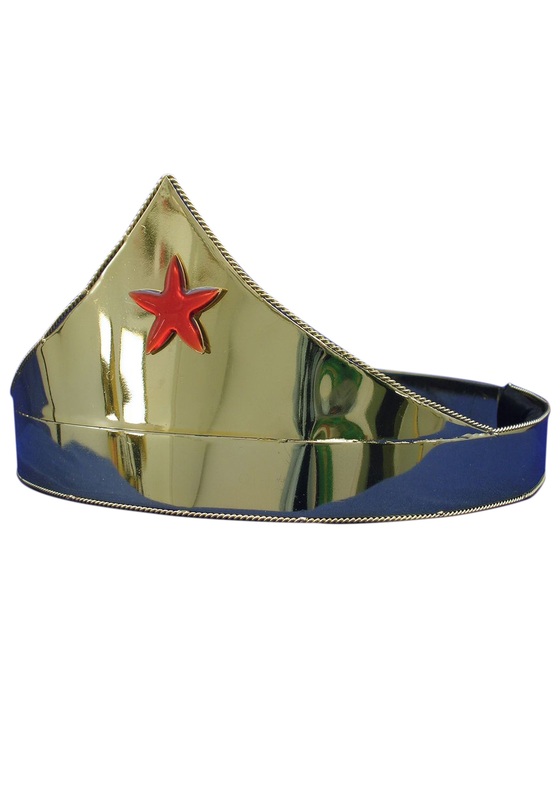 Become a crime fighting queen with this red star superhero crown! 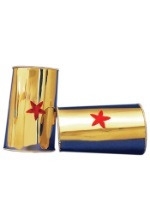 This crown is gold in color and made of metal. 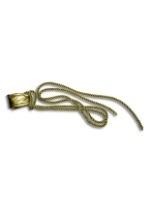 A red star adorns the front of the crown, which is trimmed with small twisted wire. 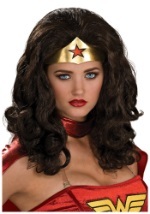 The inside of the crown is lined with foam for comfort. 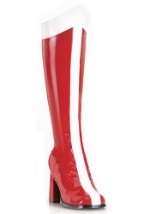 A notch and four holes in back allow you to adjust the size to taste. 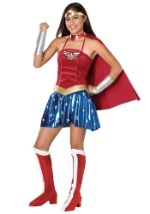 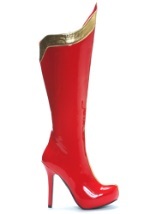 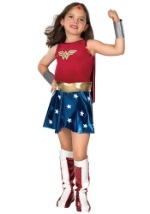 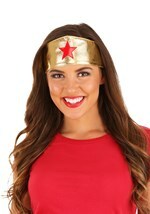 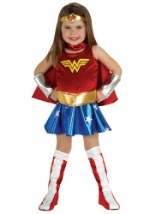 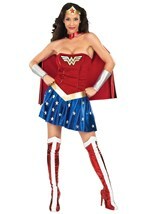 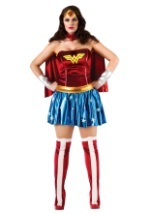 Add this to your Wonder Woman costume for an impressive look this Halloween!